Hello! 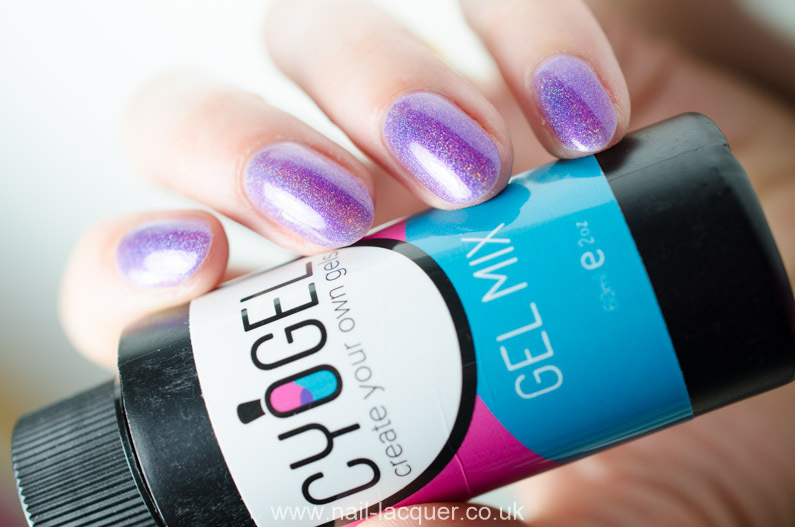 I am here with Cyogel gel mix review tonight. Cyogel is a new product on the market. It’s a gel liquid you can use to create gel nail polish from normal nail polish. The idea itself is not new- as a matter of fact, I think polish to gel polish type of products came out well over a year ago. 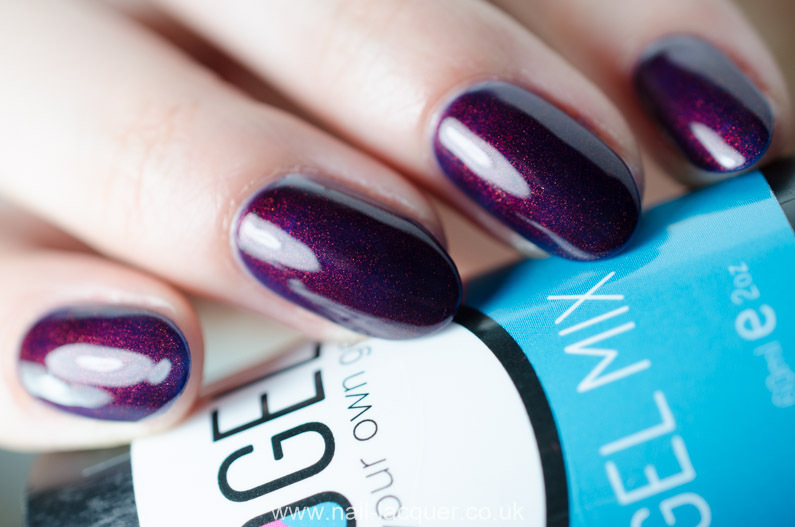 However, the difference with Cyogel is that, instead of mixing a little amount of product to create an amount of gel polish to use right away, it encourages you to actually buy gel polish bottles and mix your existing nail polish into a bottle of gel polish that you can use over a period of time. Just like you would with a bottle of gel polish. Price wise Gyogel is quite affordable, a 60ml bottle costs £19.96. I managed to squeeze 12 bottles of mixed gel polish out of the 60ml bottle! I used about 5ml of Gyogel and 5ml of nail polish in each bottle, so as a result I got 10ml of gel polish in each 15ml size bottle. I guess to make a full bottle you would need to use about 7ml each. However, I found that by using 5ml, it leaves enough nail polish in the bottle to comfortably use it. In addition, I found that if the gel polish mix didn’t turn out the colour I liked, I hadn’t wasted too much product. 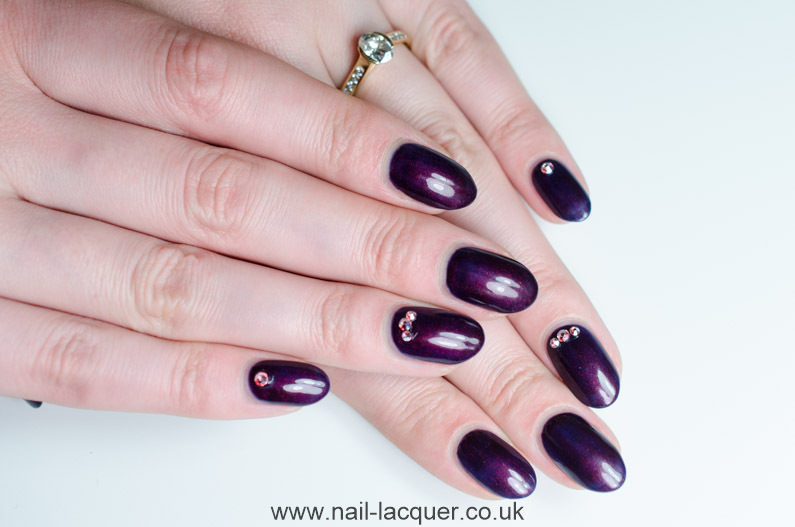 Because the rate of gel to polish has to be 50:50 (or less), it dilutes the colour of the polish quite a bit and therefore polishes that are naturally more opaque work better. For my first mixture I used Misa High Brow, a dark blue polish with orange shimmer finish. It mixed well with Cyogel and took 4 coats to achieve the look you see on the photos. On average, depending on the polish I mixed it with, it took about 4 coats to achieve a good looking finish. However, considering that base coat is not needed, 4 is not too bad. Some mixtures took only 3 coats. Some lighter polishes took 5. Formula wise the mixture was quite runny, runnier than a normal gel polish I would say. 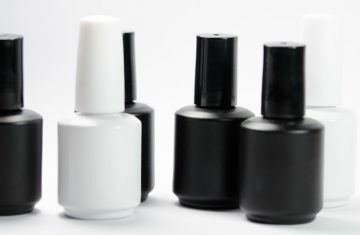 In addition, compared to gel polish it started to dry a bit if polished for too long, just like normal polish would whereas gel polish is always in liquid form. It didn’t bother me too much as I was really happy with the results. Cyogel is a two step gel system so only colour and top coat is needed and my favourite fact about it is that you don’t need to buff nails beforehand. I have started liking gel polishes that require no buffing these days as they are, in my opinion, the most nail friendly as even a gentle buff still makes the nail a bit weaker. Something I noticed was that on the images on the website the bottles have a nozzle, however when I received the product it came with just a normal bottle end. I did not have any issues with pouring the gel in empty nail polish bottles but it is something to aware of I think. Below you can see all the polishes I turned into gel polish. Deborah Lippmann Across the Universe, sheer formula and therefore the mixture was sheer as well, took about 5 coats to achieve the finish seen. Morgan Taylor New Year, New Blue, opaque formula, only took 3 coats to achieve the finish seen. Misa High Brow, 4 coats. Dark Metal Lacquer Wish I had an Angel, 4 coats. Color Club Cloud Nine, took 5 coats, lost the original pinkish colour and appeared just silver. However, worked amazing when layered over an opaque colour with just one coat. Dark Metal Lacquer Whisper, 4 coats, looks amazing. 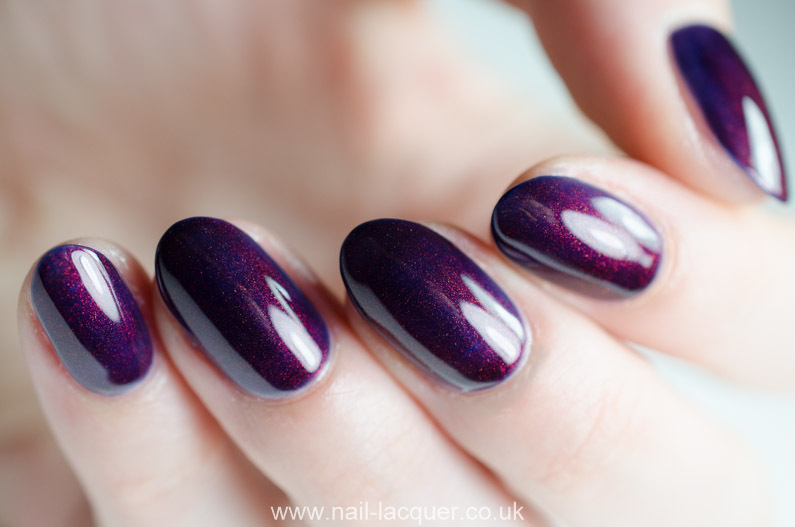 Rimmel Salon Pro Urban Purple, opaque in 2 – 3 coats. Ciate Pinkalilly, opaque in 4 coats. China Glaze Pink Voltage, opaque in 5 coats but still very sheer, I would probably not use this one again. Lacquer Lab Dita, 4 coats. The last one is one of my own indie polishes, took about 5 coats to be opaque. 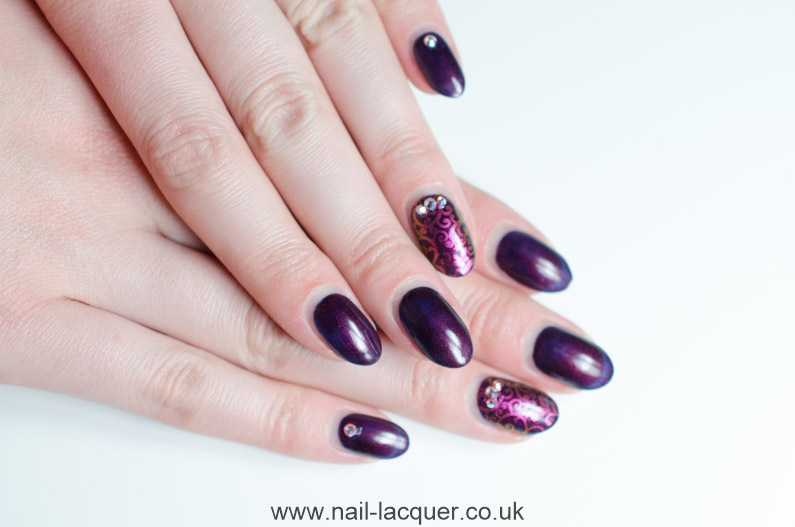 And below you can see swatches of Dark Metal Lacquer Whisper with 4 coats of mixture applied on the nail. Overall I found mixing nail polish into gel polish quite a fun activity. I got a few disappointing results, however I’d say that 95% of the gel polishes I mixed I would definitely use again. And now to the most important factor about gel polish, the longevity. I will wear the look with Misa polish for the next few weeks and report back how well it lasted :) I am excited to see the results! 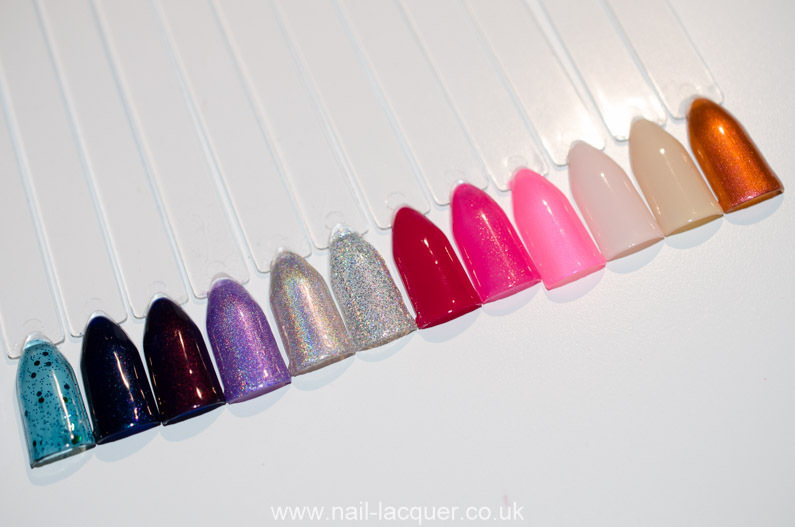 You can buy Cyogel via The Nail & Beauty Link here. The small 60ml bottle of gel mix costs £19.96 and the big 240ml bottle costs £59.00. The top coat price starts from £27.06 for a 60ml bottle. Hello, so this is a two-week update, or to be precise, a 13-day update. Last week I added a stamp pattern on my ring finger, other than the patter it’s all the same manicure. Overall my nails still look fairly good, however there are a few small chips on my index and thumb nails. I acquired the chips on days 12 and 13. I was hoping that the manicure would last without chipping for full 14 days but I am not too disappointed. The gel polish was easy to remove as well which is good, took about 15 minutes of soaking in remover (buffed the top coat off first). March 20, 2016 By A.J. July 9, 2013 By A.J.